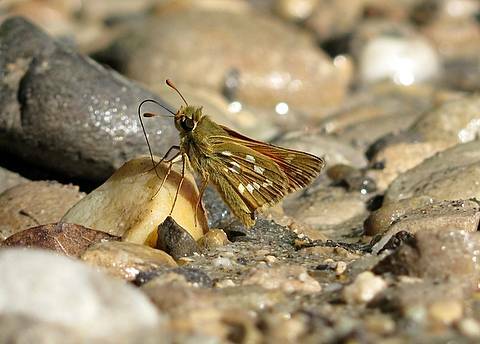 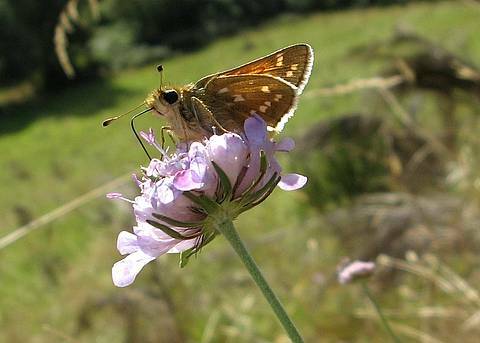 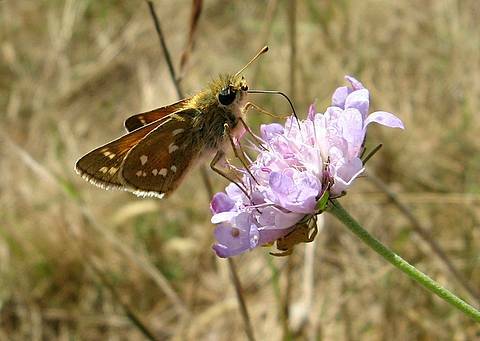 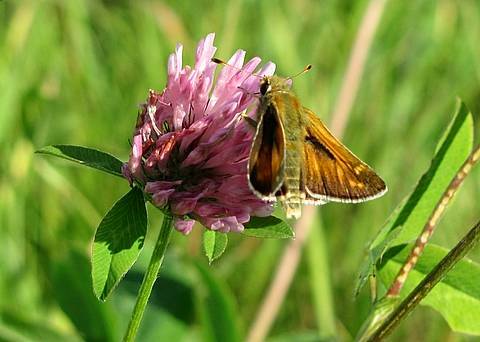 The Silver-spotted Skipper is a rather late emerger and whilst I have seen it in late July in Provence my local observations in the Rhône département are limited mostly to August and early September. 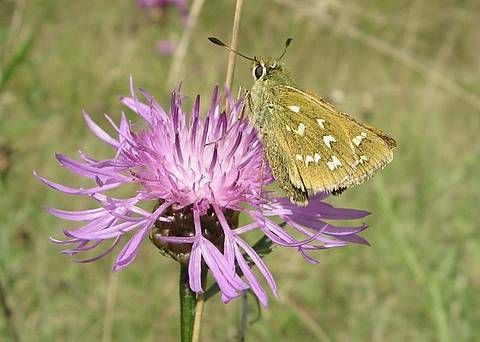 Here, it seems attracted particularly to knapweed and scabious flowers. 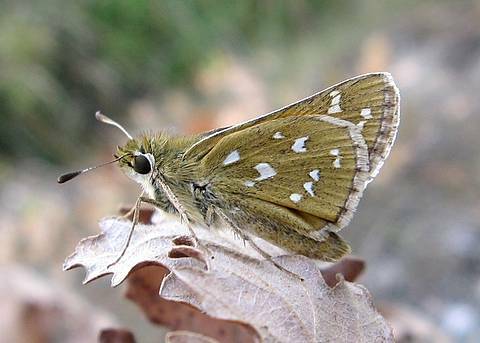 The species flies in two types of habitat; it is commoner over calcareous terrain with dry grasses and bushes but is also present amongst the dry grassland of broom heathland in non-calcareous situations. 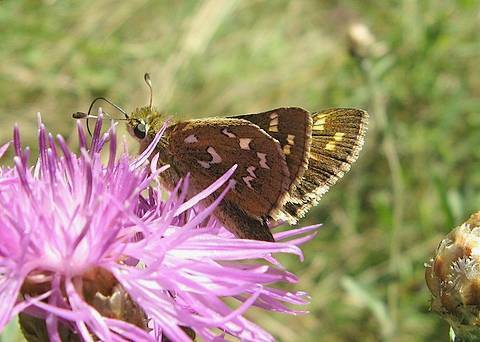 This butterfly reputedly flies earlier at altitude as the young caterpillars overwinter, whereas at lower altitudes the egg overwinters.